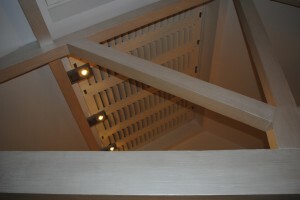 In recent years there has become an increasing demand for skylight shutters in many homes throughout the UK. With less people deciding to move home and instead opting to have a loft conversion for an extra bedroom or more space, we find that homeowners come to use looking for the best skylight dressing possible. 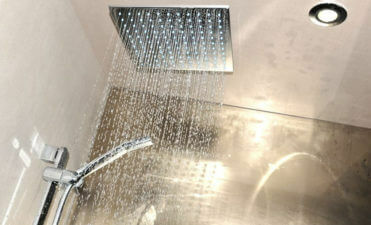 Skylights can be problematic for homeowners looking to dress the windows on their new extension. Often out of reach and angled it is hard to get a window dressing that works correctly. 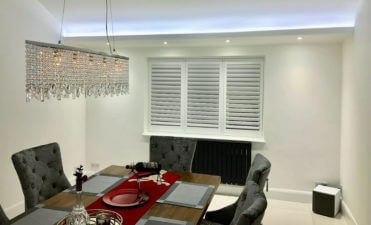 Options like curtains are completely out of the question , but shutters can be fit easily to any shape and size of skylight. 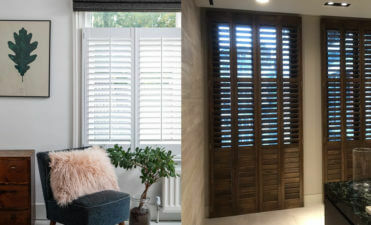 Not only do shutters look fantastic on this type of window from both the inside and outside, but they allow for quick and easy access for adjusting and opening when natural light is required. 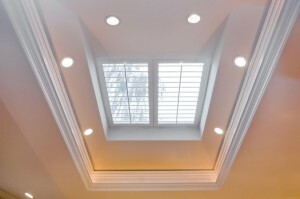 Skylights are a fantastic source of light and this should not be ruined by wrong or ill fitted window coverings. Due to the windows sitting on the roof, many homeowners would assume that privacy and blackout is not a requirement, but surrounding buildings can often still overlook them as well as sources of light at night, so the closure of shutters is still a must. Closed off at night they also help to keep warmth in the room and create a snug area for sleeping! All this can of course be achieved with full control of opening and closing of the window behind! Our skylight shutters are designed so that the panel of shutters fits directly to the skylight window in the recess, allowing full operation of the window at all times. If the window needs opening for airflow the shutter will easily move with the window. 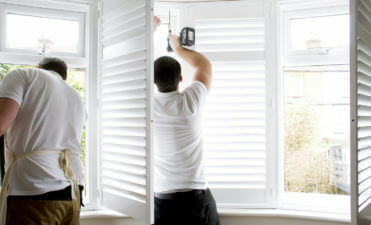 When it comes to cleaning the window the shutters can easily be unclipped from the window when required. 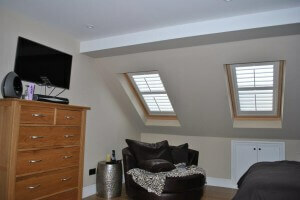 With skylight window shutters that are hard to reach, we can supply a remote control as an optional extra. There is no hard wiring required as a battery pack is mounted of the back of the shutters. You can then control shutters individually, as groups or put them on a timer. This allows for the shutter louvres to be adjusted automatically throughout different times of the day or night!